There is nothing like a freshly brewed cup of joe to start your day. I am certainly one of those people. A freshly brewed cup of coffee is the first thing I go for when I arrive at the office. However, I am never the only one with coffee on my mind, which made me think that a commercial coffee brewer might be the way to go to meet the demand of all the waiting cups. 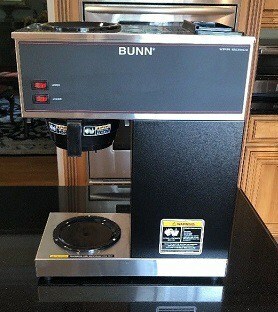 It did not take me long until I came across the Bunn VPR series coffee maker. From the start, the advantages are apparent; the coffee can be prepared quickly, conveniently and above all in large quantities. The first thing you will notice with the Bunn VPR series commercial coffee maker is the quality of the construction – I mean this machine is built to last. You will not find a single bit of plastic or anything cheap. What you get with the Bunn VPR series is a 12-Cup pour over commercial coffee brewer with two burners, one on the upper and one on the lower levels, and two glass decanters in black. At first glance, you may think the device is somewhat on the large or maybe bulky side, but take it from me it’s totally portable; you can place the brewer anywhere in the office. As you can probably imagine, you could almost open your own coffee shop with such a machine, which brings me to my next point. 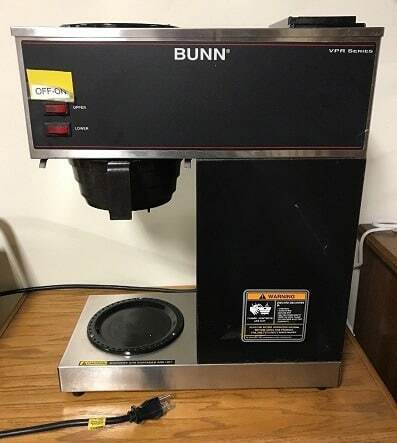 The Bunn VPR series is perhaps not the ideal brewer for small households and offices that don’t have a host of people wanting gallons of coffee per day. In other words, buying this device for just you and your significant other might be a bit of overkill. However, you can be sure to get a piping hot cup of joe when this baby is done brewing. In contrast to many other machines that do not heat the water adequately, the Bunn VPR series promises a hot cup. Also, the speed at which the coffee enters the pot promises the perfect taste; unlike the bitter smack slower machines deliver. The Bunn VPR series really holds its own in comparison to the other market leader. The Hamilton Beach Commercial Coffeemaker manages to brew up to 60 cups within the hour. Like the Bunn, the Hamilton is well made with a nicely polished stainless steel exterior. The inbuilt heater ensures a level temperature. However, you have to be careful with the plastic know on the lid because it can get very hot. There is not all that much that speaks against this device. However, having said that, it is probably not the device you want right next to your desk because of the loud gurgling sound it makes when in operation. No timer for the burners. One of the best things is that this machine offers excellent value for money – there are hardly any other brands on the market that give you so much bang for your buck. 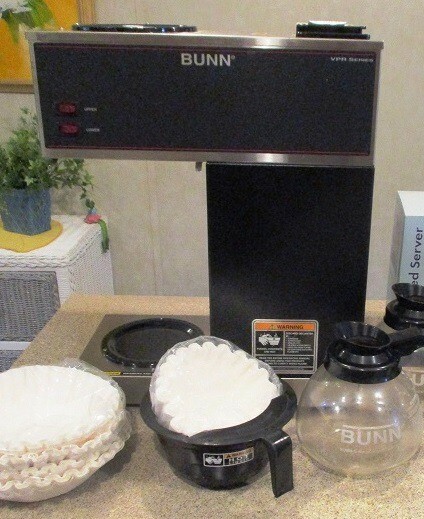 Bunn has been making coffeemakers for a little less than 60 years, so they know what you want. Apart from the excellent tasting coffee, you want ease of use, and for the Bunn commercial brewer, you need absolutely no barista experience whatsoever. All you require is some ground coffee – a small tip here: invest in a coffee grinder so that you can grind the beans yourself; it just tastes so much better – drip filters and water, and you are already set up. The Bunn VPR series works based on the displacement method by using two water tanks, one of which is always powered. You can regulate the amount of coffee by adjusting the quantity of water you add. However, having said that, I came across a gentleman on the net while doing some research for this article, and he always advised to fill the tank with one full pot. I guess trial and error works best for you here, but the source did seem pretty reliable. The water is always kept warm in the internal reservoir. 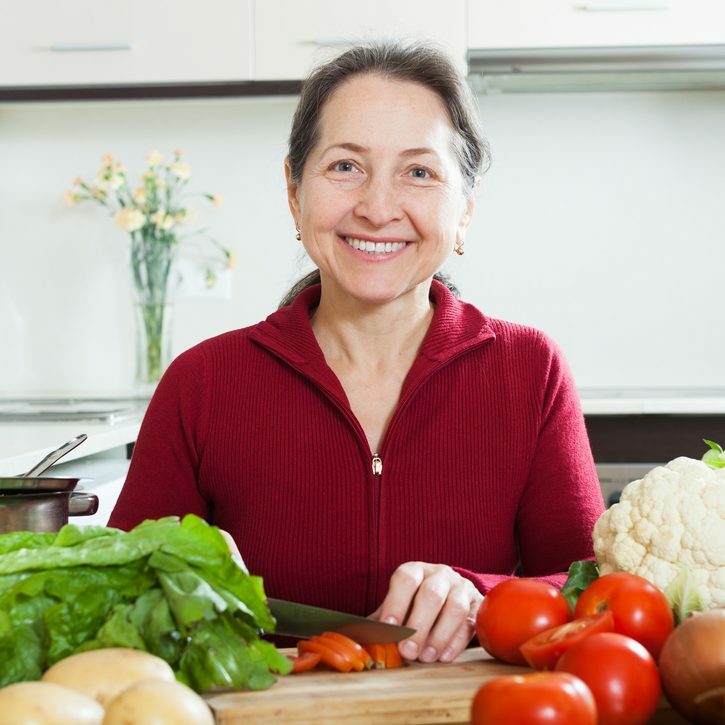 Yet, this boon can also be a bane, as the heat does tend to condense the water over time, so you may need to fill up the water tank with additional water. All in all, the Bunn commercial coffeemaker only uses premium industrial grade materials for the incorporated heating element. This attribute not only lengthens the brewer’s lifespan but also allows for instant brewing of 3.8 gallons of coffee every hour. You will never have to worry about falling short of joe, even during peak hours when everybody wants a cup. You will never run out of coffee. The always-on feature assures that you will get your hands on a cup of coffee in under a minute. You will definitely become aware of how handy this attribute is when everyone in the office decides to have a cup of coffee at once. Trust me, it happens. Furthermore, the two inbuilt burners keep the glass jugs or decanters warm. Another tip: don’t leave the coffee for too long lest it starts to stew. You will know the difference immediately because a fresh pot always tastes best. However, the two warming plates are handy and also have separate switches. The most important thing to note is that the internal water tank is always on, so you will need to unplug the machine when you leave the office. It’s a bit of a drawback I know. I would not be doing my job well if I did not give you at least two alternatives to the Bunn VPR series commercial coffee brewer. Below are the two brands I would also consider for your office. You may also like: What is Peaberry Kona Coffee? Everything You Need Know! Let’s start with the Keurig Office Pro Single Cup Commercial K-Cup Pod Coffeemaker. The long name is enough to frighten anybody off – no, jokes to the side – this one is pretty good. This machine really nails it in terms of ease of use. Also, it is a good alternative if you prefer instantly ground coffee straight into your cup. You can choose between various sizes. With the press of a button, your coffee is made fresh in the spur of the moment. 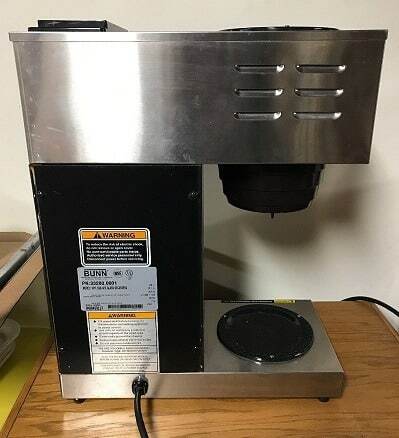 Just remember if you love that aroma of freshly brewed coffee in the office, you will be slightly disappointed with this device. However, it has a 90-ounce tank and a touchscreen interface for your coffee choice. Finally, the Keurig has an auto-shutdown feature. Then there is the West Bend 100 cup Commercial Coffee Urn that has a brew capacity of up to 100 cups or 1 cup per minute. This coffeemaker was specifically designed for heavy-duty use, and it looks pretty fancy on the counter. Also, the gauge shows the amount of coffee in the urn. Furthermore, you can adjust the temperature, and the faucet is dripless. The only bad thing I would say is that like the Hamilton we mentioned before the knob on the top does tend to get hot. 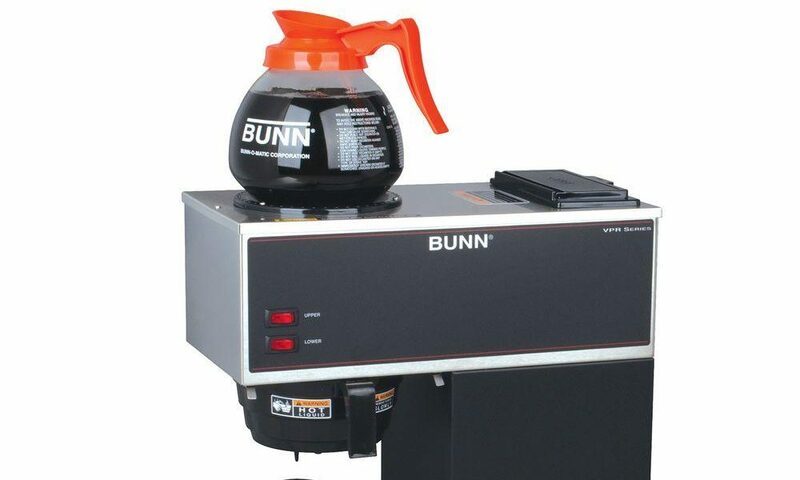 Overall, the Bunn VPR series coffee maker is a very reliable coffeemaker for the office. Yet, you still need to take all of the considerations like the warranty, service assistance, return and exchange policy and finally how long it takes to clean the machine into account. Like other manufacturers, Bunn has a one-year warranty, and if you are not happy with the device, you can return it to the manufacturer. So, hopefully, you are now armed with the necessary information to make an informed decision. With any luck, your coffee needs at the office will be met shortly.